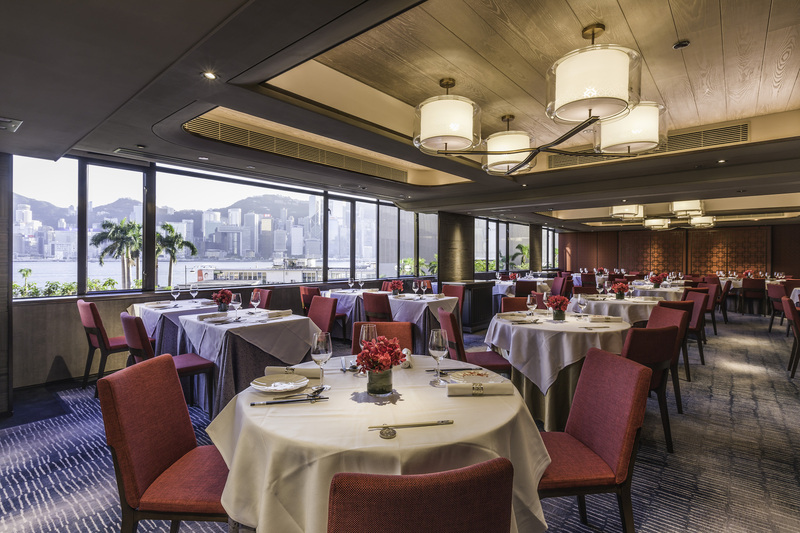 Imperial Flair: Peking Garden is Maxim’s Chinese Cuisine’s longest standing and most acclaimed provincial cuisine restaurant, occupying the third floor of Star House in Tsim Sha Tsui for 40 years. To celebrate this milestone, the restaurant has undergone a complete overhaul, unveiling brand new interiors and exclusive new dishes. Look & Feel: Gone are the brash red-and-gold entrance and hanging chandeliers. Peking Garden’s new look is a chic and contemporary take on traditional Chinese-style decor. A lounge area with comfortable armchairs is perfect for sipping on aperitifs. Five private rooms have been added, too, each with their own private bathroom and accommodating between 8 to 36 people. On the Menu: The restaurant specializes in Beijing and Imperial cuisine, which comprises dishes that used to be served to the emperor and his family, and is known for its elaborate craftsmanship. 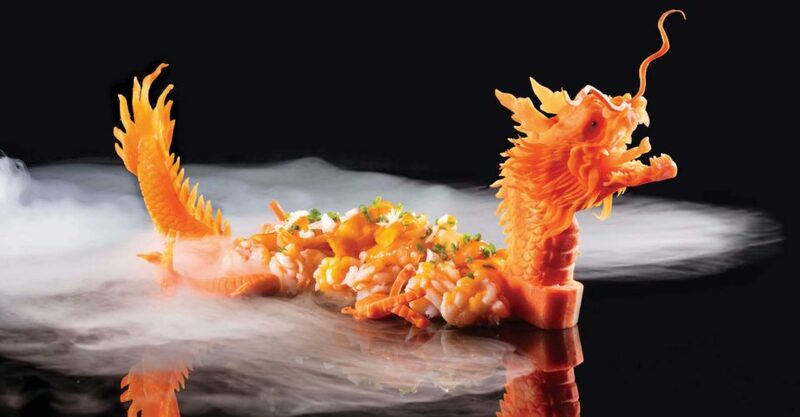 Think a single cucumber expertly sliced into a spiral ($88) or sauteed prawn, scallop and sea whelk in chilli sauce served with hand-carved dragon carrot sculptures (pictured, $780). The restaurant also serves up classics like beggar’s chicken ($580, requires ordering in advance) and, of course, Peking duck ($240 for half, $460 for whole). Jeng: The food is both delicious and presented in a way that’s thoroughly Instagrammable. We particularly loved the beggar’s chicken, which is a succulent combination of flavors inside a hand-carved clay chicken that requires being smashed open with a hammer. And if the food’s not enough, there’s no shortage of things to see and do, what with all the shows and interactivity. Not So Jeng: Locals might find the theatrics a little overblown. There’s also the matter of the restaurant being caught between Canton Road on one side and Ocean Terminal and Star Ferry on the other. Not ideal for those who’d rather avoid gluts of tourists. Great For: Entertaining visitors from out of town. They’ll love the traditional decor, dramatic dish presentation, and stellar view of the harbor. Not to mention the chance to scope the chefs at work in the open kitchen. FYI: There’s a noodle-making demo every night at 8:30pm! The restaurant will also be launching tea art performances — involving pouring water into teacups with plenty of martial arts and dance moves — by the end of the year.